Last week, a friend said to me, "I bet YOUR house is decked out for Christmas!" On the contrary...I have 2 ornaments hanging in the doorway of my kitchen...a strange yellow satin ornament with dangling pearls that I found at the thrift store, you can tell someone lovingly crafted it, and a homemade Christmas card ball that I made out of the last 3-4 years' cards. I hadn't made one since I was in the 3rd grade...it's imperfect, and that bothers me...but it's OK! The fact is, we celebrate Advent and don't begin celebrating Christmas until it arrives. But we party for weeks into January! Before I converted to Catholicism, I had begun to despise Christmas. It didn't mean anything to me but stress, overeating...and STUFF. Now, I like stuff...my current Amazon wish list proves that, but the holiday still didn't mean anything to me and I'm a person who needs things to have deep roots. I like to go back to the beginning and Christmas is rooted in the birth of Christ. And that's a fact. I'm subduing my excitement for decorations, baking, crafts...and while the rest of the world's enthusiasm dies on December 26th and they pitch their dead Scotch pine onto the curb (we already found a free tree so I won't need to snag it!) I'll just be decorating mine. I'll be just starting to think about Christmas cards, and wrapping the porch with lights, and digging out the handmade stockings I actually finished last year...and baking shortbread cookies with sprouted wheat flour, Kerry Gold butter and unrefined sucanat!!! Our family already made the yearly pilgrimage to Crown Center during Rose Sunday...Halls had their ornament store in full swing, surprised they weren't already on sale like everyone else's Christmas stuff...they have to make room for Easter, ya know! Another *good* thing is...my kids are already processing the flu for the year, so that means they won't be sick during Christmas. Hopefully my kefir and sauerkraut will keep the flu away from me completely, but Miso was sick for 24 hours and is completely well, and Tank's journey began early this morning and his fever is already coming down and he was extremely interested in his dinosaur book this afternoon, pointing and gurgling at them. We'll see them through and out of the woods...built up that immunity, baby...we're going to be at a lot of parties soon! This post is about food...! I've been talking to a lot of friends lately who are moving away from the Standard American Diet (SAD) and into a more ancestral way of eating. I was asked this week, "I'd like to know exactly what you eat in a day?" It made me want to write it down...I've kept food journals before, but I never keep at it for more than a week. Once I figured out what kind of food to eat and how much, there really was no good reason for me to keep a food diary unless I was trying to figure out some sort of symptom. 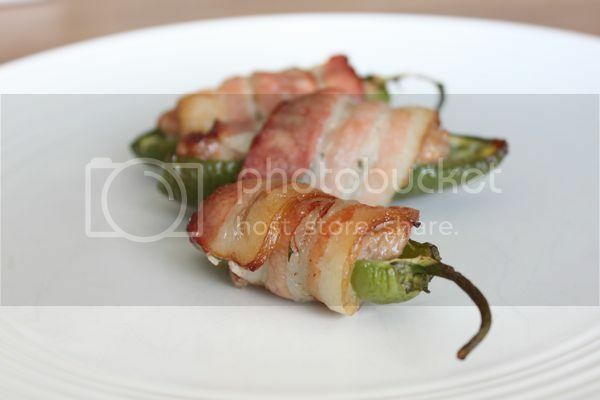 Pork-Stuffed Jalapeno Peppers from Mark's Daily Apple. I served these at Thanksgiving instead of green bean casserole!!! 3 ingredients...easy and delicious! And I have no symptoms...I'm not overweight...I don't get headaches anymore...I feel pretty good despite the fact that I haven't had a full night's sleep in over a year! (Thanks a lot, Sebastian...!) During Thanksgiving, I let down my guard a little bit and ate bread. It was nice bread from the Fervere Bakery, but alas, still bread. And I ate a lot...with very thick layers of butter! A week or two after Thanksgiving, I'd gained 5 pounds back. That took me up to a whopping 140. ;) I was also having stomach problems, and felt groggy and bloated. I stopped eating the bread, went back to my clean eating habits (despite my coffee, chocolate and ice cream...) and voila, I'm back to 135. And...I still eat marvelous amounts of butter. The other thing I'm excited about is the new Perfect Health Diet. 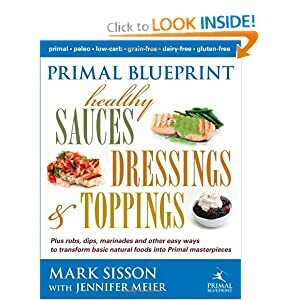 I haven't gotten my copy yet, but a friend said it's very digestible information, sound...much needed advice in this world so full of food-based illness. I believe that a lot of what ails people these days is completely food related. I've cured my obesity and headaches with food...no pills, and no exercise! Ahem...that's NOT a good thing, bench pressing toddlers counts for something, but it's nothing like a brisk walk down Linwood Boulevard looking around you wondering if someone's going to steal your purse. Now that's a workout! So now I gear up for the next food extravaganza, Christmas! We celebrate Advent so we have no tree, no lights, no egg nog...well, I did make a batch just to see if I could...and yes, it was egg nog. And it was good! No need to buy the carageenan nog, thank YOU! We'll be hunting for a free tree a day or so before Christmas, as always...and we're going to decorate it the day before. I'm really looking forward to Christmas this year with the kiddies...they make everything more fun! What's especially fun for me since I love to bake...is coming up with healthy treats to satisfy and dare I say, "nourish" people?! Speaking of fun, I'm not sure what my grandma said to St. Nick here...but by the look of his incriminating finger, I bet it was something feisty!